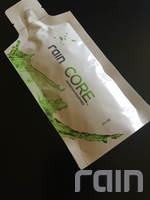 In today’s post, we focus on another revolutionary Rain International product. 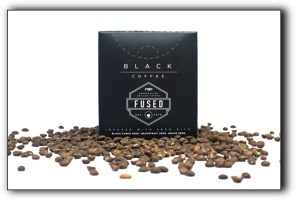 I am delighted to introduce: FUSED Black Coffee. In addition to the category of seed-based nutritional supplements, Rain International launched the category of seed blend-infused healthy coffee. We took a beloved Utah beverage and enhanced it. FUSED was designed from the idea that coffee shouldn’t just be good, but it should be good for you. The infusion of our rich seed blend mixed with the inherent beneficial features of coffee makes our FUSED Black Coffee the most robust in Utah. Instead of rushing to your local Draper coffee drive-through, take a few minutes in the morning to prepare your own cup of FUSED at home. Enjoy its substance, its gourmet quality, and how tempting it tastes. If you already drink coffee every day, you can support your health without adding anything new to your diet – simply replace your regular brew with FUSED Black Coffee from Rain International. If you want to try FUSED, give me a call at 801.809.7766. I’m Adam Green, a Rain Partner based in Draper. If you have been thinking about starting your own wellness business, I invite you to contact me today for more details about the exciting Rain opportunity. This business is for Salt Lake City residents who are seeking improved health, greater financial security, and considerable personal growth. The content on this web page is designed for informational purposes. It is not to be a an alternative to informed medical advice or care. You should not use this information to diagnose or treat any health problems or illnesses without speaking with your health care provider.